Italian designer Lella Vignelli, who together with husband Massimo formed the "first couple of modern design", has died aged 82. Vignelli is reported to have passed away peacefully on 22 December 2016. The trained architect made her name as a skilled interiors and product designer, as well as a savvy entrepreneur who drove the studio she co-founded in 1971 with Massimo, Vignelli Associates, to business success. The Vignellis have been described as both "the first couple of modern design" and "US national icons". As Vignelli Associates, the couple famously created branding for companies like Knoll, the Ford Motor Company, American Airlines and Bloomingdale's. The Vignellis worked regularly for Knoll, designing the brand's Handkerchief office chair in 1983. 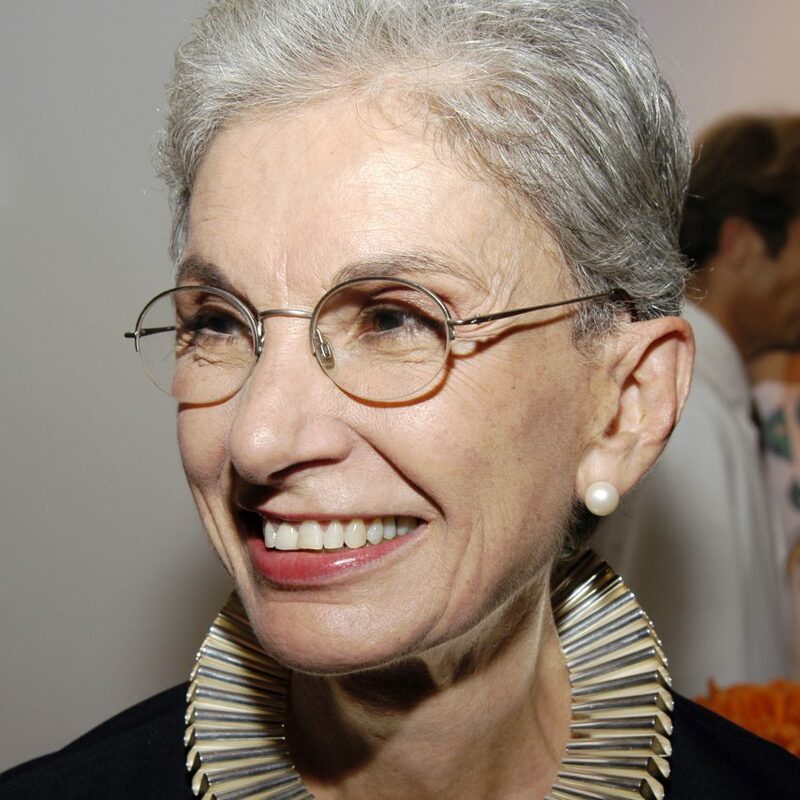 Lella Vignelli's death was announced by the Vignelli Center for Design Studies on Twitter. "We like design to be visually powerful, intellectually elegant, and above all, timeless." Born on 13 August, 1934 in the Italian, Lella Vignelli studied architecture at the University of Venice and MIT. She went on to work in Milan and Chicago, where with Massimo she was involved in the founding of Unimark International – the design consultancy that created the New York subway signage still in use today. The creative couple co-founded Vignelli Associates in their new base in New York in 1971, followed by Vignelli Designs in 1978. Pentagram partner Michael Beirut has written about his experience starting out as a junior designer at Vignelli Associates in the 1980s in an essay for Design Observer, republished yesterday. Beirut writes that he was excited to start working with "legend" Massimo Vignelli, but a former studio intern told him "Oh, wait till you meet Lella". He went on to say that Massimo taught him how to be a good designer, but Lella how to be a successful designer. "I learned from Lella that talent and passion were crucial, but that alone they were not enough," he wrote. "If a designer really wanted to make a difference in the world, you needed to also have brains, cunning, confidence and relentless drive." "These traits turned abstractions into reality, converted doubtful clients into passionate advocates and transformed trivial notions into ideas of consequence." Massimo Vignelli, who passed away in 2014, is said to have described the couple's working relationship as "I'm the engine, and Lella is the brakes." The couple had two children together, Luca and Valentina. Massimo completed a monograph about Lella shortly before his death. The dedication reads, "This book is dedicated to Lella Vignelli, an inspiration to all women designers who forcefully stand on the power of their merits."